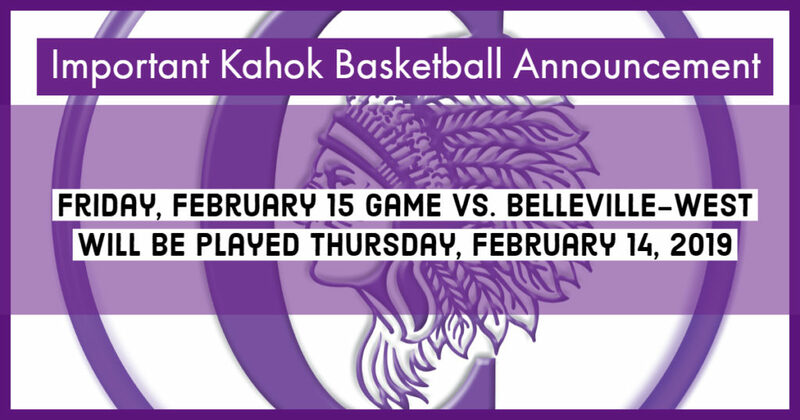 Due to the threat of winter weather moving into the area Friday (February 15, 2019) afternoon, the Collinsville vs Belleville-West Boys Basketball game scheduled on FRIDAY, 2/15, will now be played on THURSDAY, 2/14 at Collinsville High School. JV will play at 6:00 pm followed by Varsity at 7:30 pm. All Senior Night activities will still take place immediately following the JV Game. Tickets will go on sale at 4:45 pm at the Fletcher Gymnasium ticket windows.